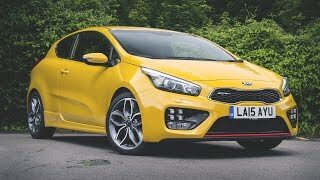 Kia with a major package of advancements brings the Kia Pro Ceed GT 2016. It provides its buyers the sporty styling and trim GT models, but with lower fuel, insurance and taxation costs. It is the class model from the Cee'd family. It also introduces the new powertrains bringing the major improvements in its model. 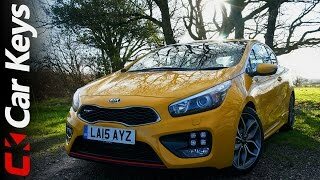 Let us have a close look at the review of the Kia Pro Ceed GT 2016 and get to know more about the glamorous model. 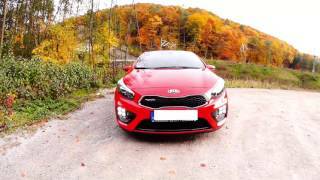 The interior of Kia Pro Ceed GT 2016 is as pleasant as all the models of the Ceed. The interior of the features with the black cross-stitch upholstery with grey inserts. The driver and front passenger seats have power lumbar adjustment. There is a sporty leather steering wheel with a perforated grip, and silver stitching, which is replicated on the gear shifter, back door centre trim and seats. It is also aided with the alloy pedals with rubber grip inserts, faux black leather door inserts, high-gloss black console tray, air vent surrounds and door trims. There is a additional driver assistance and connectivity features. 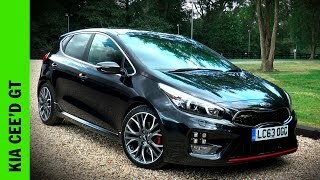 The exterior of Kia Pro Ceed GT 2016 is stylish as compared with it’s the other versions. The GT-Line models are distinguished by a deep front bumper flanked by ice cube-style LED daytime running lights. These are housed in black high-gloss panels along with the foglights and daytime running lights. There is a unique black lower grille and a black high-gloss mesh main grille with a graphite chrome surround. The number plate and rear foglights are cased in high-gloss black panels. The rear lamps are full LED units. There is GT-Line' identifier on the rear bodywork, and five-double-spoke 17 inch alloy wheels. The presence of all these features makes the Pro Ceed GT a unique model than the others. 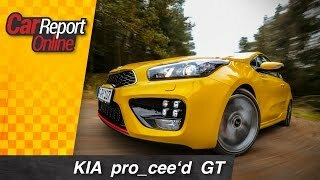 The power output of Kia Pro Ceed GT 2016, comes with the direct-injected petrol 1.6-litre GDi. It has 1.6 liters inline-4 Engine which offers a massive power output helping the model to be sporty. It also helps in attaining the 0-62 mph of speed in 7.7 seconds as claimed by the model.